(NaturalNews) A marijuana chemical known as cannabinoid cannabidiol (CBD) helps fractures heal faster and even make the bones stronger than they were before, according to a study conducted by researchers from Tel Aviv University and Hebrew University and published in the Journal of Bone and Mineral Research. 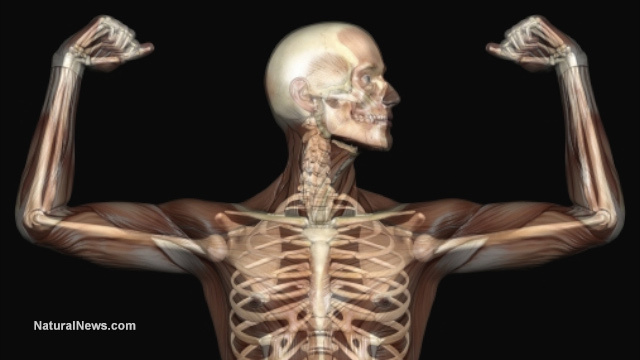 "We found that CBD alone makes bones stronger during healing, enhancing the maturation of the collagenous matrix, which provides the basis for new mineralization of bone tissue," researcher Yankel Gabet said. "After being treated with CBD, the healed bone will be harder to break in the future." "We found CBD alone to be sufficiently effective in enhancing fracture healing," Gabet said. "Other studies have also shown CBD to be a safe agent, which leads us to believe we should continue this line of study in clinical trials to assess its usefulness in improving human fracture healing." The study supported the same team's prior findings that the body contains receptors that respond to cannabinoid compounds, and that these receptors are not confined to the brain. "We only respond to cannabis because we are built with intrinsic compounds and receptors that can also be activated by compounds in the cannabis plant," Gabet said. "The clinical potential of cannabinoid-related compounds is simply undeniable at this point," Gabet said. "While there is still a lot of work to be done to develop appropriate therapies, it is clear that it is possible to detach a clinical therapy objective from the psychoactivity of cannabis. CBD, the principal agent in our study, is primarily anti-inflammatory and has no psychoactivity." The list of benefits to medical marijuana continues to grow. It is currently used primarily for chronic pain, to reduce side effects of chemotherapy and to improve appetite in AIDS patients. It has also shown promise in regulating blood sugar and slowing the progression of HIV. It is also being researched as a treatment for multiple sclerosis and Parkinson's disease. The federal government still classifies marijuana as having "no currently accepted medical use." Yet even this may be starting to change. The FDA recently approved CBD extracts as an experimental treatment for Dravet syndrome, a rare form of childhood epilepsy. Preliminary clinical trials are now going forward.